Sights like this used to be common in American small towns, but with consolidations, abandonments and grade separation projects the sight of a simple grade crossing protected only by crossbucks and a set of flashers is becoming a rarity. 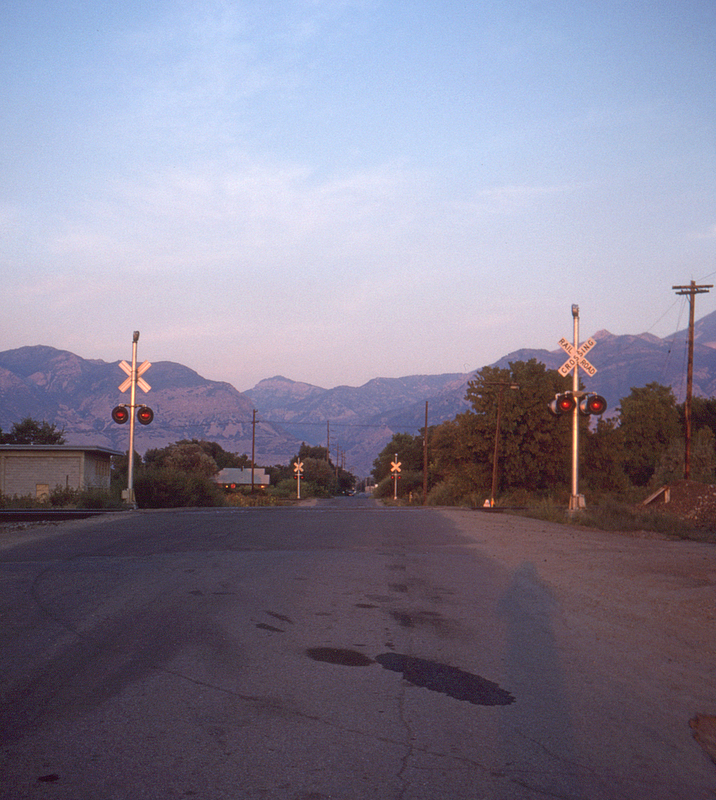 This scene at 17th Street in the northern end of Ogden, Utah features the Southern Pacific's mainline to California in the foreground and the Union Pacific's Oregon Short Line line to Pocatello and Montana in the distance. It's hard to imagine that the tranquility of this scene is in reality frequently shattered by the heavy traffic carried by these lines. But then, who would have thought that in a little over a year both lines would be under common ownership?